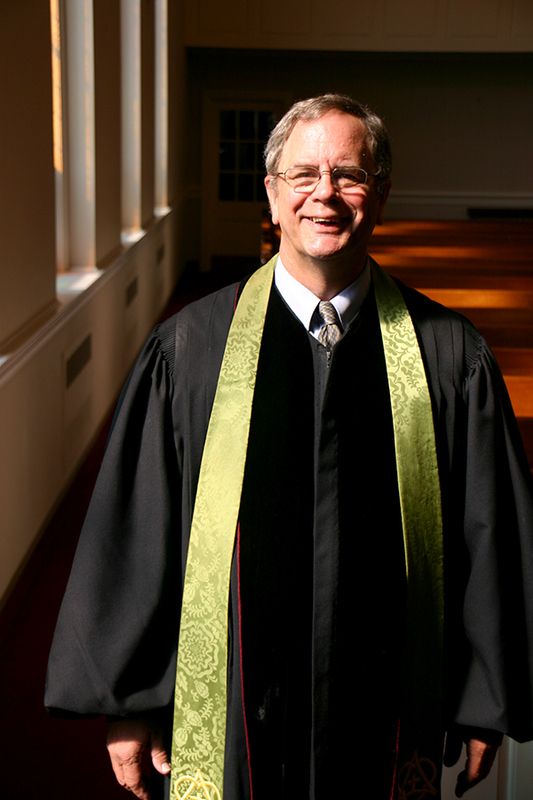 The Presbyterian Church of Chatham Township (PCCT) announces that its Senior Pastor, The Rev. Dr. Edward M. Halldorson, will retire effective February 1, 2019. Rev. Halldorson has served as head pastor for 30 years during a time of great community growth and change. An interim minister will be hired until the congregation selects a new Senior Pastor. The Reverend Thomas A. Brown will continue as the church’s Associate Pastor. The fourth Senior Pastor of PCCT, Rev. Halldorson has been the longest-serving minister in the church’s nearly 60-year history. Under his guidance, PCCT has continued to thrive, grow, and serve the community through multiple outreach programs. Rev. Halldorson’s vision included having a facility that not only supported the church’s programs, but also enabled PCCT to be a church for the community. To better address the needs of a growing congregation and expanding community ministries, the congregation undertook a new building expansion that was completed in 2007. At the time of the new wing’s dedication, the congregation named its multi-purpose room Halldorson Hall in his honor. Today, that space houses additional church school classrooms, Stanley Nursery School, a youth suite for the growing youth program, accommodations to host outside disaster recovery groups, and meeting places for community groups. Members say many people were drawn to the church because of Rev. Halldorson’s sermons which provided strength and spiritual nourishment to his congregation. Over 30 years, he preached more than 1,300 sermons on a wide range of topics, offering inspiration, insight, and guidance. Rev. Halldorson also has been a respected leader in the community, opening the church on countless occasions in times of need or crisis, including after 9/11 so people could grieve and get support, and following Hurricane Sandy to serve as a warming and charging center, and to feed linemen working to restore power. Born and raised on Long Island, Ed was ordained at his home church, Christ’s First Presbyterian Church in Hempstead, New York in 1974. Ed graduated from Lafayette College with an AB in History in 1971. He received a Masters of Divinity degree from Princeton Theology Seminary in 1974. He served as the Associate Pastor of the Penfield Presbyterian Church near Rochester, New York from 1974-78. From 1978-88, Ed was the Senior Pastor of First United Church, Silver Creek, New York, before accepting the call to Chatham Township. In 1999 he received a Doctor of Ministry degree from Princeton Theological Seminary with his thesis on the Atonement: “What Language Shall I Borrow: How Laypeople Interpret the Cross”. Ed and his wife Linda have four grown children David, Christopher, Steve and Emily, three daughters-in-law (Janine, Susan and Chrissy), a son-in-law (Ebube Bakosi) and ten grandchildren. The Presbyterian Church of Chatham Township is a vibrant, multi-generational congregation that celebrates the glory of God through faith, fellowship and service. Drawing members from three counties and more than 20 communities, it welcomes all, whether you are a young family, a single adult, or a couple with grown children. The congregation reflects diverse perspectives, provides rich music and education programs for all ages, and through social outreach addresses hunger, homelessness and recovery from disasters or other crises. For more information, visit pcct-nj.org or call 973-635-2340.